A curvy fit and flare silhouette plays up your figure in all the right places. The Mermaid dress is fitted through the body and hips all the way to the knees. Past the knees it flares out. The Trumpet is fitted through the hips, but instead of coming back in by the knees, it drops straight to the knees and then flares out at the bottom. Be sure to fit this silhouette as it does not only work on tall skinny girls. 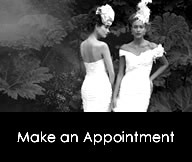 A dramatic gown of grand proportions with angular bust peaks framing the heavily crystal encrusted sweetheart neckline. 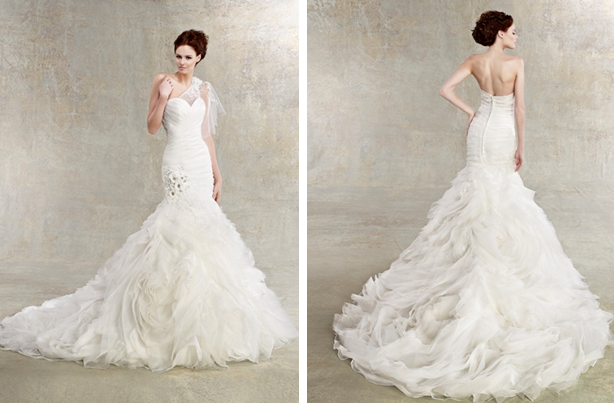 At the back a pair of long detachable sashes glides behind the finely draped mermaid skirt. Buttons at the centre back finish at the top of the knee, where it ruches and drapes forward, revealing a plain elegant fishtail train. Capturing the vintage look perfectly, this beaded lace gown has an off-the-shoulder portrait neckline trimmed with hand-frayed silk, lace, and roses. 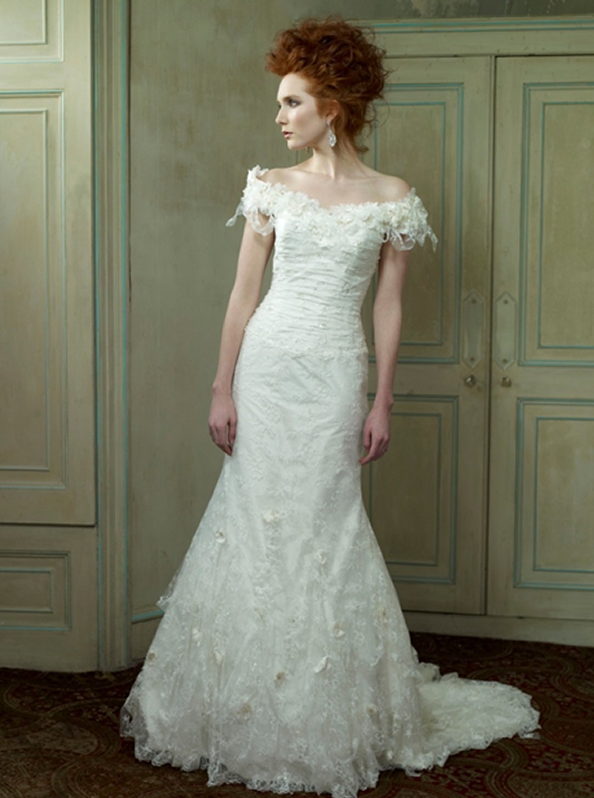 The bodice is finely draped with a scalloped trimmed waistline. The ‘distressed look’ mermaid skirt features frayed roses and raggedly lace trim. 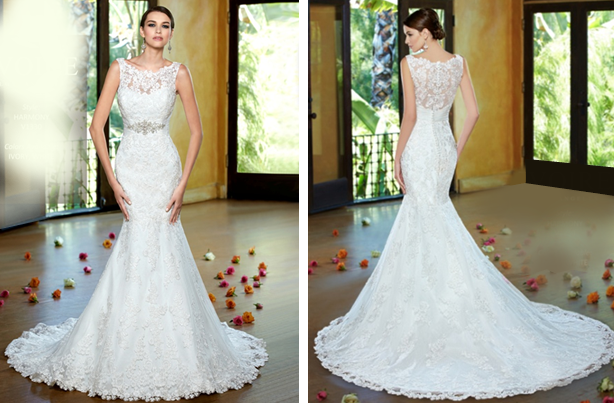 This chic gown evokes Parisian style with an elegant mermaid silhouette and heart shaped neckline covered with beautiful beaded lace. 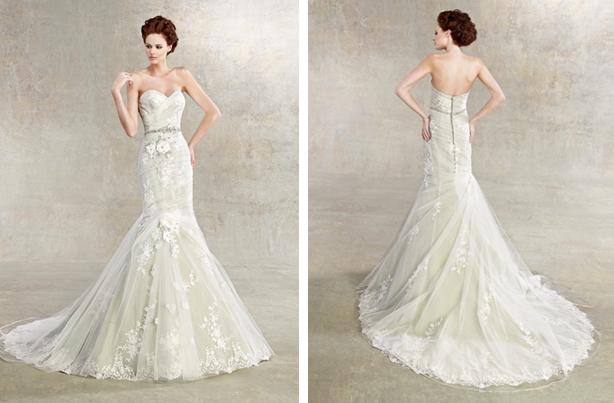 Fine draping wraps the body with ruches on top of the front crescent of pastel flowers which cascades behind into an elegant cross-over chapel train. 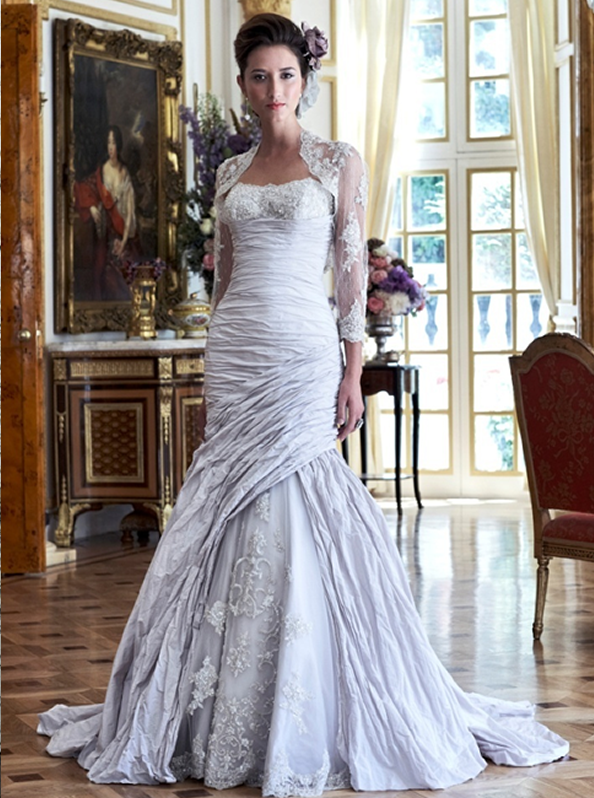 The front of the skirt is ruched with a fine lace overlay trimmed with an icicle lace. 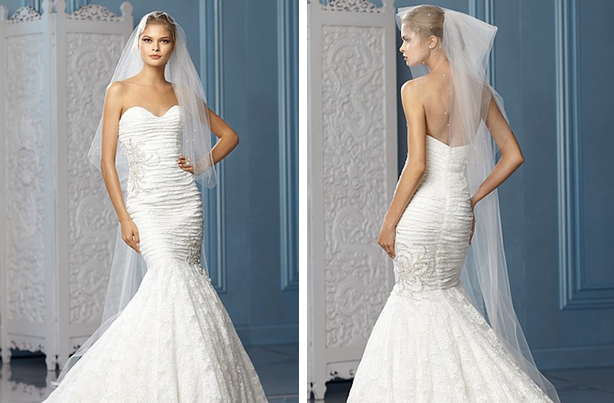 his beautiful mermaid gown is draped from the strapless bodice through to the long train. The neckline is highlighted with encrusted jewels and pearls, and a matching chocker. The magnificent bolero jacket is versatile and can be worn with dramatic fullness (as shown) or can be flattened for a more demure look. This cute modern gown in candy stripe taffeta has a bodice decorated with scattered pearls. The asymmetrically draped mermaid skirt features a delicate flower corsage on the left side which opens to reveal a bubble hem and short train. Ivory re-embroidered lace v-neck gown with lace flower and ivory grosgrain ribbon at empire, English net skirt with cascading lace appliqués. Sweep train.